Above rates are per person based on Double / Triple sharing. Namaskaaram – Welcome to Gods Own County Meet our representative in the arrival area of the airport after you clear formalities. On Arrival, check in hotel. Relax & overnight stay. 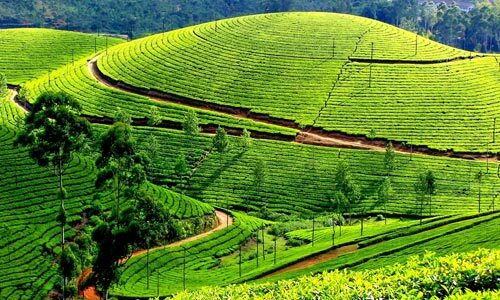 About Munnar : Munnar is a town and hill station located in the Idukki district of the southwestern Indian state of Kerala. Munnar town is situated on the Kannan Devan Hills village in Devikulam taluk. Sprawling tea plantations, picture-book towns, winding lanes and holiday facilities make this a popular resort town. Among the exotic flora found in the forests and grasslands here is the Neelakurinji. This flower which bathes the hills in blue once in every twelve years, will bloom next in 2018. On Arrival, check in hotel. Relax & overnight stay. 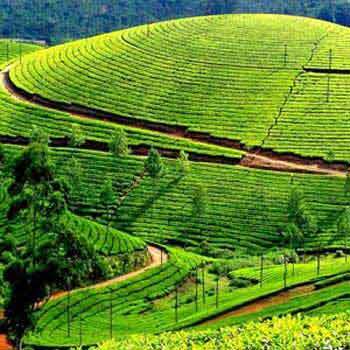 Sightseeing Places in Munnar : Rajamala national Park , Tea Museum, Mattupetty dam, Kundala dam, Echo Point , Blossom International park. Day 3: MUNNAR – THEKKADY (03.5 HRS / 110 KM) . About Thekkady : The very sound of the word Thekkady conjures up images of elephants, unending chains of hills and spice-scented plantations. In the Periyar forest of Thekkady is one of the finest wildlife reserves in India and spread across the entire district are picturesque plantations and hill towns that hold great opportunities for treks and mountain walks. The sanctuary is famous for its dense evergreen, semi-evergreen, moist deciduous forests and savanna grass lands. It is home to herds of elephants, sambar, tigers, gaur, lion-tailed Macaques and Nilgiri Langurs. On arrival check in hotel. Overnight in hotel. THEKKADY SIGHTSEEING : Boating in Periyar Lake, Spice Plantation tour, Elephant safari. Day 4: THEKKADY – ALLEPPEY (180 KM – 5 HRS) . After breakfast drive to Alleppey. 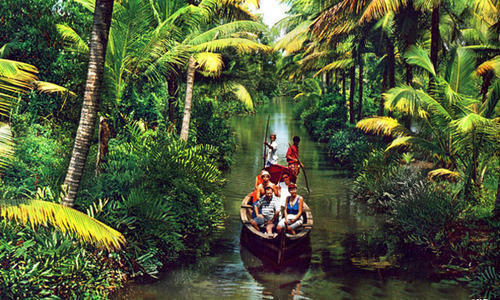 About Alleppey Alappuzha – still more romantically known as Alleppey – is the hub of Kerala's backwaters, home to a vast network of waterways and more than 1000 houseboats. Wandering around the small but chaotic city centre, with its modest grid of canals, you'd be hard-pressed to agree with the 'Venice of the East' tag. On arrival, check in at the houseboat, overnight in houseboat. 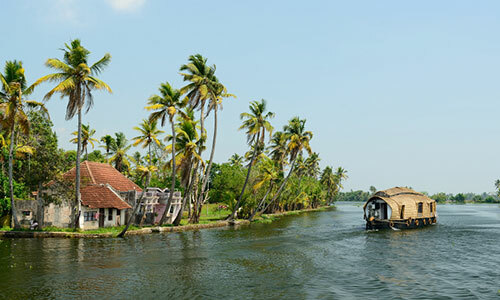 After breakfast, check out from hotel and drive to Cochin airport for departure journey. 03 Nights Accommodation in Above Mentioned Hotels/resort with Breakfast.